Fast, comprehensive big data analytics solutions. Built by marketers, for marketers. The Metis Marketing Analytics Platform is a different approach to marketing analytics. 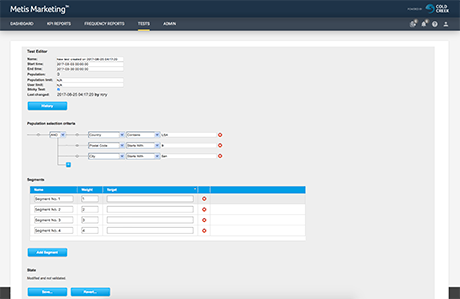 It’s much more than a simplified reporting platform. 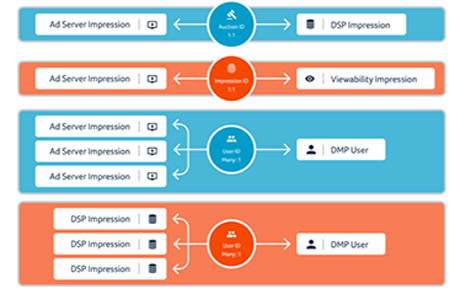 Our scalable, custom-built processing stack stitches together transactional log files from multiple systems to give you the most complete, granular marketing data sets available. 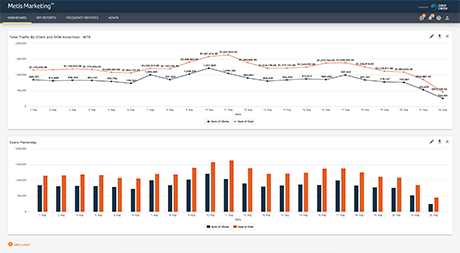 Layered on top is our customizable dashboard, with easy graphing and advanced data visualization. Cold Creek products are created by experienced engineers who worked in the trenches. They built Metis because traditional tools don’t fill the needs of today’s marketers. A simple, guided process helps you ask questions of your data in just minutes. No other marketing analytics product answers your queries as quickly and accurately. Comprehensive data and actionable answers lead to better strategy. Stay ahead of your competitors with up-to-date numbers and deeper insights. Always up-to-date data at your fingertips, processed and stitched together orders of magnitude faster than any other vendor. Improve your analytics, strategy, and your bottom line. Accurate data is critical to effective marketing. The Metis Marketing Analytics Platform captures data from online marketing sources, even the tricky proprietary ones. 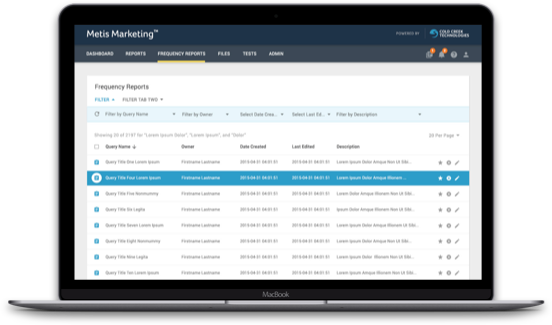 Your marketing projects benefit from the most granular marketing data available anywhere. Don’t waste days or weeks preparing marketing data for analysis. Save your analysts from the tedious manual work of joining data files. Metis takes files from disparate ad systems and stitches them together for you. And we do it faster than any other vendor out there. Bypass your company’s I.T. gatekeepers and set up your own A/B tests in minutes. Decide your test goals, build the logic, and collect results. Use the Metis Testing and Traffic Routing Tool to get the instant insights you need for today’s fast-paced internet marketing. Get all the advantages of Metis while keeping your preferred data sources. Switching to Metis for your analytics needs doesn’t mean giving up your favorite online marketing tools. We connect to the sources you specify and deliver the data in the formats you request.